Shades of Gray: Christmas and Engaged!! 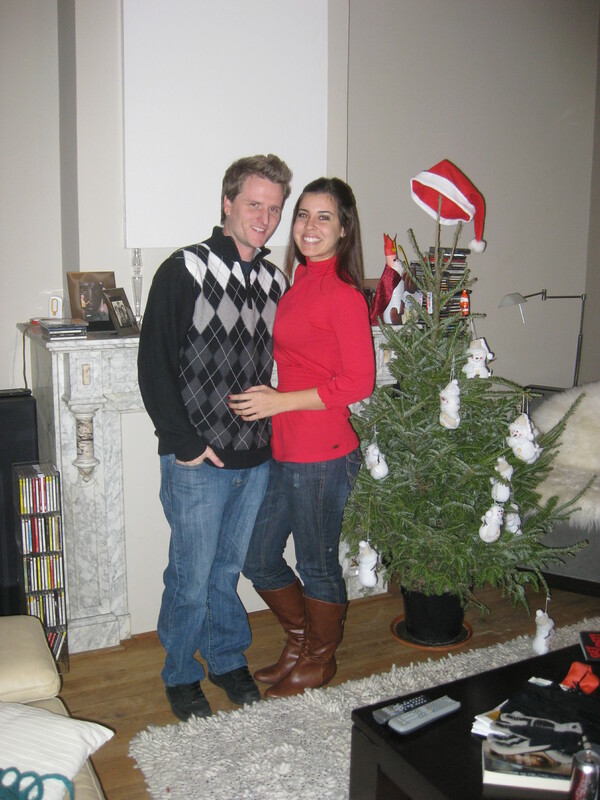 Our Christmas day in Brussels, Belgium was wonderful! for the better part of the morning and early afternoon. We watched A Christmas Story and then started cooking our Christmas dinner. It's also become kind of a tradition for Brandon and I to watch it every year. because he wasn't ready for bed. and I curled up on the couch to read my book. he sat next to me and we just talked by the Christmas tree. "Are you a little bummed there were no presents this year?" but I sure did miss the shopping and the wrapping etc." "Well, I actually do have a little present for you"
and I didn't even realize he had gotten down on his knee. there was black box in front of me and I thought I was going to faint. but I did catch the "will you marry me" part. For some reason, the first thing I asked was, "Do my parents know?" "I will answer all of your questions, after you answer mine." This picture was taken a couple of hours before the proposal in the exact spot it happened. 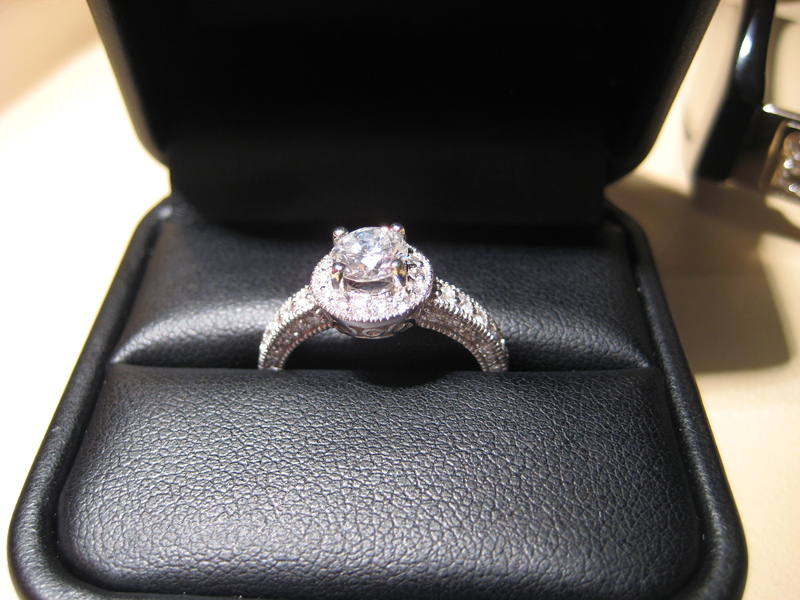 here is a picture of the ring although it doesn't do it any justice! 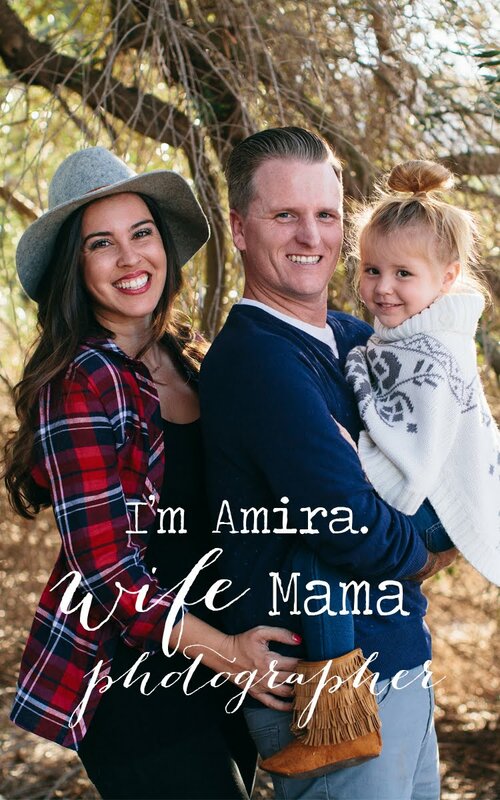 Congrats Amira and Brandon! I love reading your blog and now I love it even more! :) the "our story" sections are always the 1st place I go on a new blog, haha... Love it! PS - did your parents know?! I don't remember a whole lot of what my hubby said when he proposed..
they say you lose your hearing and sometimes get tunnel vision when you are proposed to..
haha. I had both of those. and your ring is beautiful! !